Delve deeper into the history of California’s first wine region. The self-proclaimed "Count of Buena Vista," Agoston Haraszthy was a vivacious pioneer whose love affair with grape-growing started in his homeland of Hungary. The self-proclaimed “Count of Buena Vista,” Agoston Haraszthy was a vivacious pioneer whose love affair with grape-growing started in his homeland of Hungary. The Count arrived in the California Territory at the head of a wagon train amidst the gold rush ferver of 1849. Embarking on an era of public service, Haraszthy served as the first Sheriff of San Diego before venturing Northward as a legislature of the fledgling State Assembly. The Count went on to serve as the first Chief Assayer at the San Francisco Mint, where he was surrounded by scandalous rumors and charges of missing gold and embezzlement. The charges were dropped, but he became a household name which, when combined with his innocence, would later prove invaluable. While his contemporaries seemed fixated with pursuing the gold to be found in the High Sierras, the Count never stopped dreaming of “purple gold.” He was absolutely certain that superb grapes could be grown in California, and in 1856 he set his sights on Sonoma—a place already in the history books following the Bear Flag Revolt. He visited Sonoma Valley and was enchanted with its unique combination of soils and climate; Haraszthy knew immediately that the site would be perfect for grape growing. He acquired 800 acres just outside of town, after being impressed by an old, dry-farmed vineyard on the site. In 1857, he founded Buena Vista Winery on what was already known as Buena Vista Ranch. Haraszthy turned Buena Vista into his own enological laboratory, constantly innovating and experimenting with viticultural practices and winemaking innovations. He created the first gravity-flow winery in California; excavated the first wines caves in California; and was the first to experiment with California’s Redwood trees for wine barrels. Haraszthy and his son, Arpad, took a wine expedition to Europe and returned with over 300 different varietals in Haraszthy’s evangelistic zeal to produce the very best wines. The Count passionately extolled the virtues of California grape growing at every possible opportunity, and he well understood their lasting legacy for the state of California. While he had seen much of the riotous early days of the state first-hand, he also had a clear vision for what the future would hold. It was not gold that would make California a world leader, but agriculture. He predicted that “wine growing in this State will, before long, exceed in value the amount of gold exported.” He was right. The world of California wine had taken a giant leap into the future. In 1863 he combined many of these activities into one when he created the Buena Vista Vinicultural Society (BVVS)—a corporation committed to expanding and modernizing the wine industry—the first of its kind. 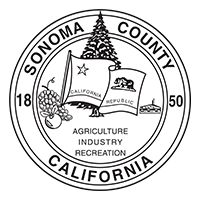 The society was instrumental in continuing the expansion of both Sonoma viticulture and the Buena Vista Winery, which by now was producing record amounts of wine. The historic Press House, the winery’s tasting room today, was completed in 1862, and the winery cellars in 1864. Unfortunately his grand ambitions for the future of the wine industry far exceeded the demand for California wine at the time and Haraszthy was ultimately forced out by his own investors. In 1868, once again full of ambition, he left his prized winery for a completely different adventure, setting out for Nicaragua to explore sugar growing and rum production. His brilliant, yet flamboyant life ended abruptly when he fell from a tree branch while crossing an alligator infested waters in the jungles of Nicaragua. Agoston Haraszthy de Mokesa, the insatiable Count of Buena Vista, was never seen or heard from again. Click here to check out an interactive timeline of the Count’s colorful past.